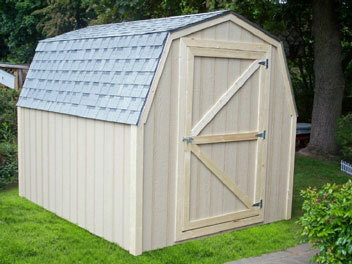 HC Buildings carries the highest quality and best price metal & wooden sheds on Jacksonville's westside. 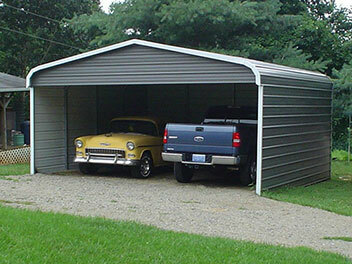 We also offer carports, garages, metal sheds and steel buildings! 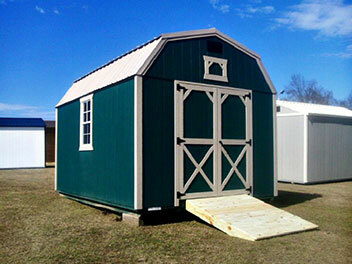 WE OFFER A WIDE VARIETY OF METAL & WOODEN PORTABLE SHEDS, CARPORTS, GARAGES, BARNS AND RV COVERS. WE ARE PROUD TO SERVE ALL OF THE WEST JACKSONVILLE, ORANGE PARK, MIDDLEBURG, AND BAKER COUNTY AREAS..
Standard Size Metal Carports & sheds, Fully Enclosed portable & Metal Buildings, Carport & Storage Combo Units. Our product line includes a wide range of steel outdoor storage shed solutions, including accessories, to meet the small and large storage needs of the end-user. From portable buildings, to wood storage sheds and utility buildings, to deck/patio storage and marine storage to carports and accessories, we offer quality and innovation in the outdoor storage category. Check out some our Portable Buildings on our YouTube Account. Here's another video with a sampling of our sheds. Steel sheds offer strength, durability, high quality, long-term value, and security. Our sheds, storage chests, and other outdoor storage products are made of long-lasting, galvanized steel with three distinct finishes to protect against rot, insects, and extreme weather conditions. And as always, delivery and installation is included in the price. Whether you are looking for a small storage solution for your gardening supplies or you desire a two-bedroom log cabin, our wooden shed kits will exceed your expectations in both quality and ease of use. In addition to a standard storage shed, you can also find wood sheds that beautifully cover your recycle and trash bins, wood sheds that can serve as a pool house or a playhouse, or even wood shed kits that can be transformed into a kitchen prep station or garden chest. We offer build-your-own shed kits that provide you with all of the connectors you need, and a comprehensive lumber cut list. Metal Sheds - WHY PAY STORAGE FEES WHEN YOU CAN OWN A BUILDING FOR LESS!!!! 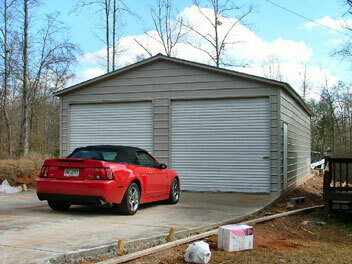 CARPORTS AND GARAGES: UP TO 40’ WIDE!!! Sheds come in various forms and there are advantages & disadvantages to each. While wooden sheds are malleable they are susceptible to damage by termites. Metal sheds are stronger but susceptible to rust and not as easily modified. or email addresses and we would be happy to help. Thank you!